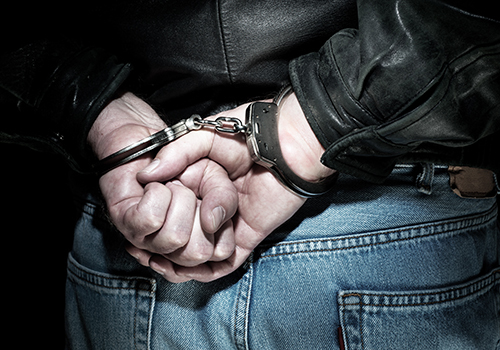 Felony convictions carry potential prison sentences in the State of Colorado. These sentences can be lengthy, including life sentences in some circumstances. Felony convictions can also carry additional consequences, including loss of gun rights, voting rights and eligibility for professional licensure. A felony conviction is usually permanent and may impact future employment, housing, and eligibility for government benefits. You need to choose a criminal defense attorney with a highly regarded reputation for successful felony litigation and defense, skillful presentation abilities, a respected rapport with judges, and experience with arguing felony criminal cases. Ms. Aguilera has spent the majority of her career trying felony cases. She has had success in obtaining “Not Guilty” verdicts or outright dismissals in cases of felony domestic violence, sexual assault, attempted murder, theft, aggravated robbery, vehicular eluding, and numerous others. Ms. Aguilera has also had success in the appellate courts, having convictions overturned based on her records in the trial court. Ms. Aguilera will zealously litigate your case to protect your rights, your family and your future. The information contained in this Website is provided for informational purposes only, and should not be construed as legal advice on any subject matter. No recipients of content from this site, clients or otherwise, should act or refrain from acting on the basis of any content included in the site without seeking the appropriate legal or other professional advice on the particular facts and circumstances at issue from an attorney licensed in the recipient’s state. The content of this Website contains general information and may not reflect current legal developments, verdicts or settlements. Law Office of Tiffany M. Aguilera expressly disclaims all liability in respect to actions taken or not taken based on any or all the contents of this Website. Any information sent to Law Office of Tiffany M. Aguilera by Internet e-mail or through the Website is not secure and is done so on a non-confidential basis. Transmission of information from this Website does not create an attorney-client relationship between you and Law Office of Tiffany M. Aguilera, nor is it intended to do so. The transmission of the Website, in part or in whole, and/or any communication with Law Office of Tiffany M. Aguilera via Internet e-mail through this site does not constitute or create an attorney-client relationship between Law Office of Tiffany M. Aguilera and any recipients. Some links within the Website may lead to other web-sites, including those operated and maintained by third parties. Law Office of Tiffany M. Aguilera includes these links solely as a convenience to you, and the presence of such a link does not imply a responsibility for the linked site or an endorsement of the linked site, its operator, or its contents. Furthermore, Law Office of Tiffany M. Aguilera does not wish to represent anyone desiring representation based upon viewing this Website in a state where this Website fails to comply with all laws and ethical rules of that state. Reproduction, distribution, republication, and/or retransmission of material contained within Law Office of Tiffany M. Aguilera Website is prohibited unless the prior written permission of Law Office of Tiffany M. Aguilera has been obtained. Copyright Law Office of Tiffany M. Aguilera. All rights reserved. Site designed by One Ton Creative.